This livestreamed public event, to be held on 16 September from 18:00 to 19:30, will gather internationally recognized historians, academics and senior humanitarian practitioners to discuss the doctrine of humanitarian principles in critical historical perspective. It will be the public segment of a two-day historical symposium jointly organized by the UK Arts and Humanities Research Council, theUniversity of Exeter and the ICRC. 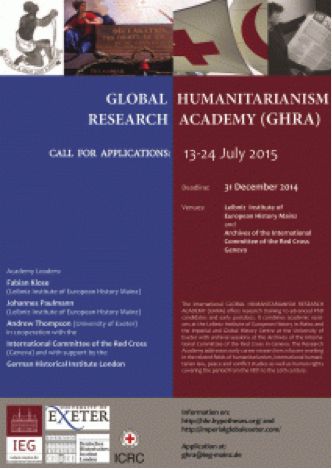 The event is inscribed in the Research and debate cycle on principles guiding humanitarian action. The year 2015 represents a major anniversary for the Red Cross Red Crescent Movement: 50 years ago, its “Fundamental Principles” have been proclaimed at its XXth International Conference in Vienna. The aim of this conference is to reflect on how these principles have influenced – and been influenced by − the broader humanitarian sector. What can be learnt about the Principles from the rich history of the Red Cross and Red Crescent Movement and the wider humanitarian sector, that may in turn provide insights into current realities and act as a guide for the future? Food distribution, Pakistan. ICRC / Muhammad, N.
Even as Red Cross and Red Crescent societies around the world mark the 50th anniversary of the adoption of the movement’s Fundamental Principles, there is a palpable sense that they are at risk. Threatened not only by the resurgence of state sovereignty and proliferation of non-state armed groups, the very universality of the principles may be in question. As the twenty-first century draws on, are the principles of ‘impartiality’, ‘neutrality’ and ‘independence’ still fit for purpose as Western influence wanes and the nature of conflict itself rapidly evolves? 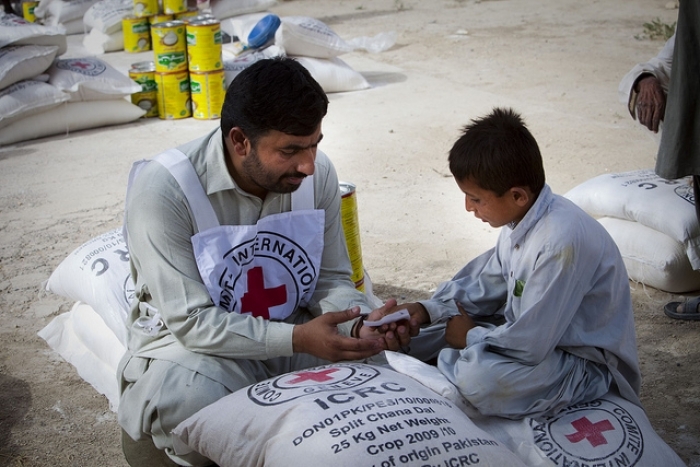 The Red Cross’ principles have marinated in a century and a half of humanitarian history. 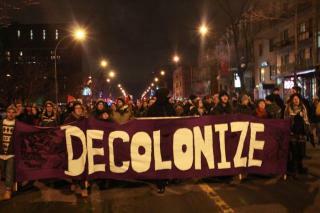 That history matters. The past helps us to understand how different types of threat to humanitarian principles have emerged from different types of conflict and geopolitical environments. History also sheds light on how, despite such obstacles, the principles came to acquire the public prominence and moral authority they currently possess. 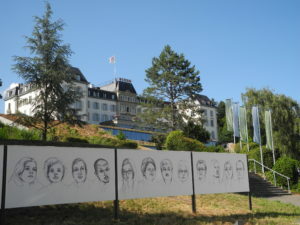 In co-operation with the International Committee of the Red Cross (Geneva) and with support by the German Historical Institute London. Nigeria. 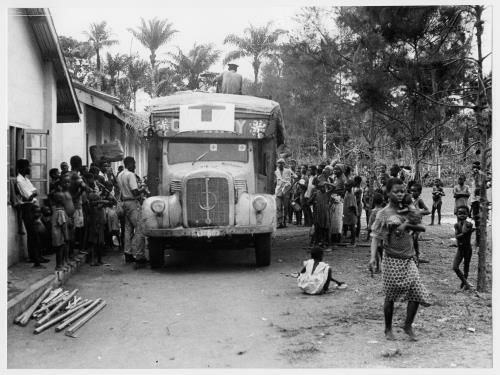 Biafra conflict. M’Baise province (team 16). Arrival of relief supplies. Public 1969 © CICR / WITH, R.
Since its founding in 1863, the International Committee of the Red Cross (ICRC) has been aware of the importance of keeping a record of its work and of its legacy – in the form of paper and audiovisual archives – to preserve the memories and knowledge of its past and to lay the foundation for its current and future work. 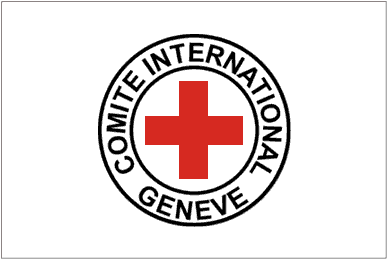 Over time, the organization has amassed an outstanding and unique collection that encompasses its own history as well as the history of international humanitarian law and humanitarian action in general.